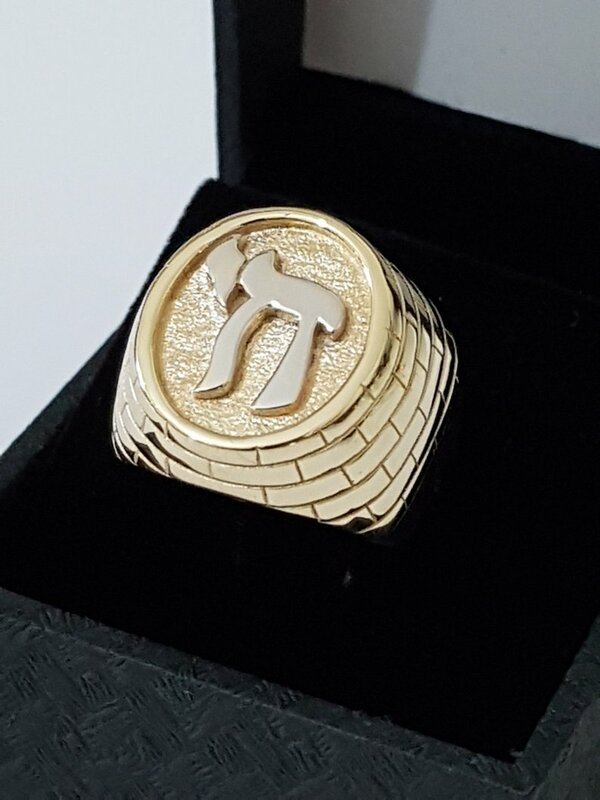 A beautiful piece of Jewish jewelry design, this Chai ring for men is made of 14k gold and it decorated with a wall pattern along the sides of the ring. 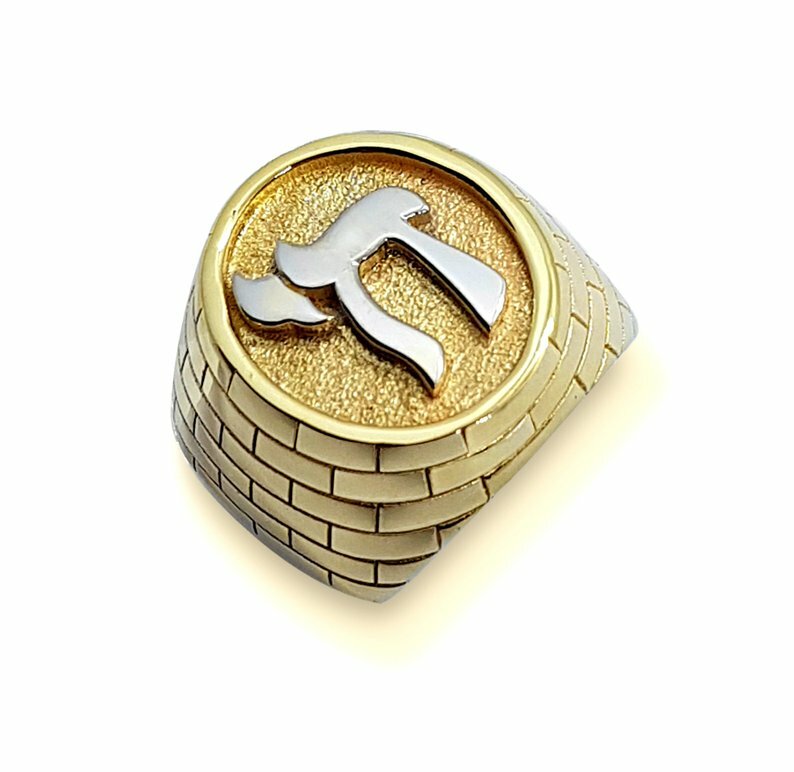 This amazing men's ring is a chai ring made of 14k gold etched with a rock wall pattern, reminiscent of the walls of Jerusalem. 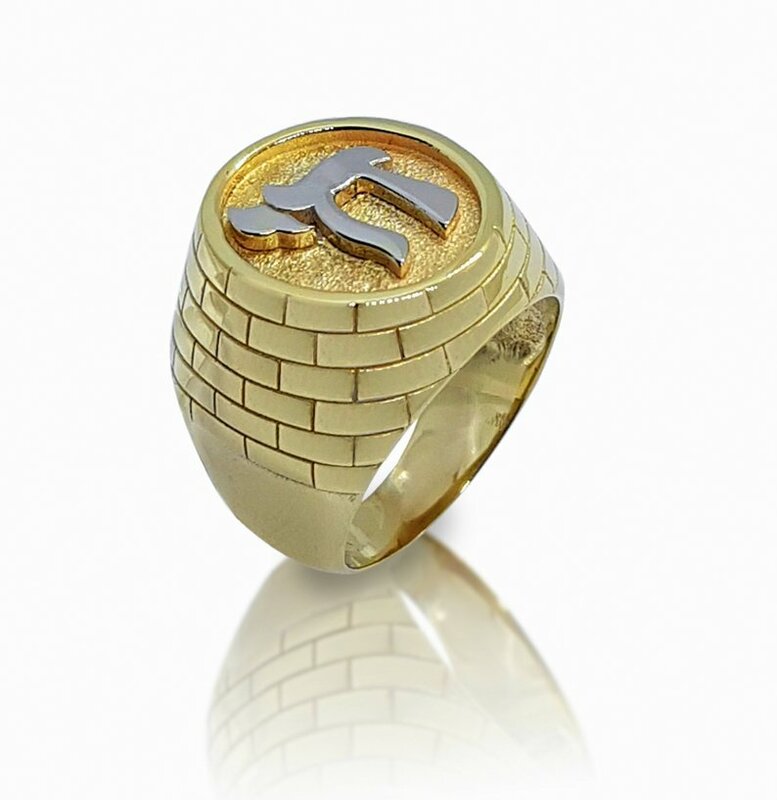 The word Chai is set in a circular top of the ring textured, with the letters standing out. 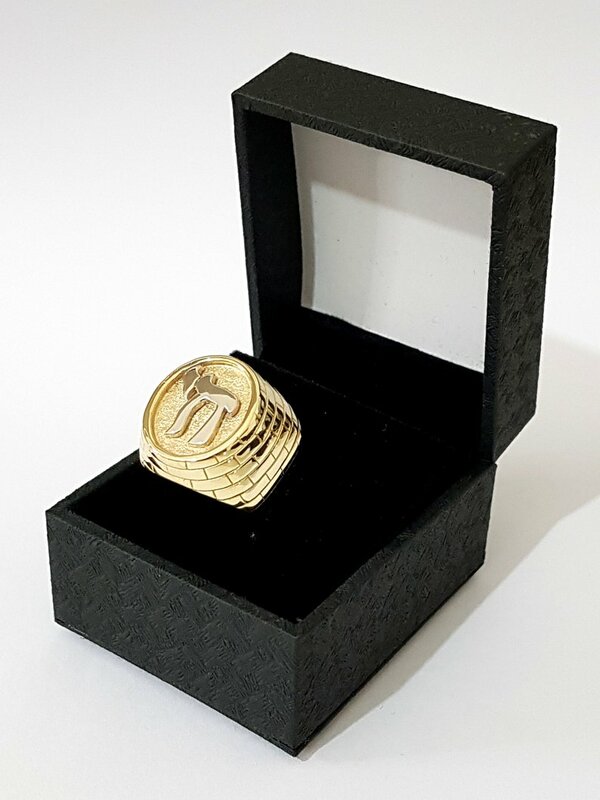 An elegant and timeless choice, it never goes out of style.